Calendar: «International Day against Drug Abuse and Illicit Trafficking». 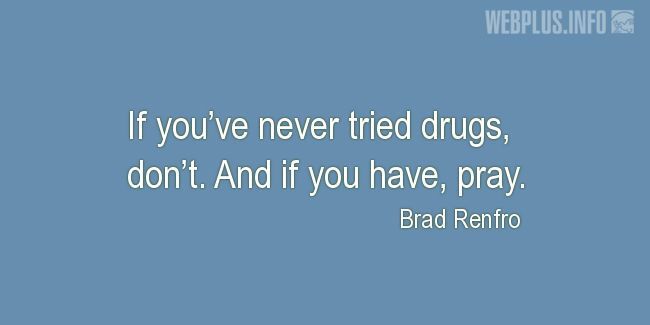 «If you’ve never tried drugs, don’t» illustrated quotation. Drug Abuse and Illicit Trafficking, free quote pictures for Facebook, Twitter, LinkedIn, Reddit, Pinterest and other social networks. If you’ve never tried drugs, don’t. And if you have, pray.